Designing is a very important part of a company. It holds the reputation of the services, goods, and other essentials provided by the firm. The basic and fundamental reason as to why this is important is because a good design gives the clients a brief description about the product or the services offered by the firm. This has its importance in developing a complete layout in the context of its production, marketing and implementation. Designing and development also helps in working out the prototype of the product and drafting a budget which ultimately helps in achieving all the desired goals. Designing is said to be the first step of any production; the later parts is development. The development in respect to a product delivery is basically classified into 3 categories. First is the development of the product, then comes the marketing of the product and later comes the development of the product in the complete organization. This are the three steps that are very necessary in the organization. 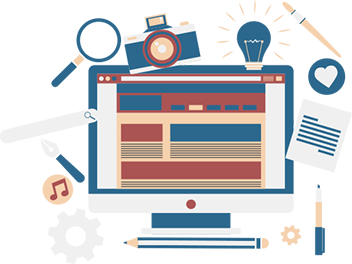 Why Website Design and development is necessary? How important is designing in an application? This question can be well answered in the applications we use in our day to day life. These applications not just make our work simpler but also give us a way to think out of the box. This out of the box thinking is said as improvisation. Designing an application with perfectionis not easy in the first attempt but it is a very important aspect for the organization. We at VertexPlus understand all this and so our experts are always there to help our clients make a better design to give a better and smoother experience to the customers. With so many new start-ups in the market, designing an application has become a very competitive task these days. Using an application is easier for a customer and this is one of the prominent reasons as to why the companies have started launching applications for their various services. But only launching an application is not the only task to perform. It is very important to keep in mind the UI (User Interface) and UX (User Experience) of the developed application. If the navigation of the application is not smooth and easy to understand, people would switch on to other service providers without thinking twice. Application design is directly connected to the revenue generated by the app. The better your application design is, the more lucrative it is. Custom application designing is the process of developing an application specifically for a group of users within a firm. These applications are specifically designed to meet the needs of the group of people so that they can work in a better way, effectively and efficiently. These Softwares can be designed by either a third-party contractor or an in-house group of developers. These applications are not meant to be sold. The customized applications help the organization to check their online application in a better way. Moreover, they can get the insight to these applications as they have a better look at them. 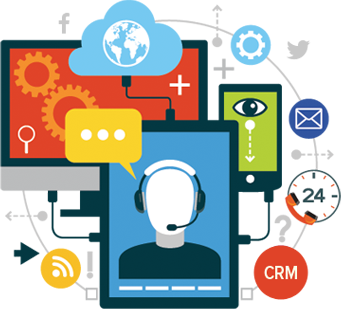 The ERP and CRM development is a very important part of an organization’s designing department. Basically, the ERP is a software that is built to organize and collect various data from the different departments of the organization and then keep an eye on the activities of all the departments. Moreover, a better and a structured approach to ERP can turn the tables for a company. It can enhance the production rate and improve the output and results across departments. Things can add onto this as it saves a lot of time and cuts the required. ERP also helps the managers to manage the work and keep an eye on the complete staff under them. There are various types of ERP used in the firms, such as Cloud and the multi- tiered system of ERP. Basically, for an organization there are many ways to run an open source development. No company sticks to the same as the other one. Two successful open source development products can be different from each other that means an organization can craft out their own open source for better productivity. We at VertexPlus have our own defined open-source development ways and tools that helps us to make doing business, easy and simple. Although it is very important to keep in mind all the processes involved in this development but one of the major tools that is required here is the developers. And trusting only the experts is the key to getting the most out of your employees, inventory, time and money. The application containerization is a virtual method that is used to deploy and smoothly run the application without launching the complete VM (Virtual Machine). The AC comprises of the components of the runtime that are files such as documents, libraries, environment variables which is necessary to keep up the desired software. The AC consumes lesser amount of resources as compared to the other software doing the same work. There are many tools that help the in-house experts to flourish a greater benefit from the application containerization. The evolution of artificial intelligence is now in high demand and it is implemented in every field access. The one perfect example of the AI is ‘Chabot’. With the spread of messengers, virtual chat agent that imitate human conversations for solving various tasks are becoming increasingly in demand. The chatbots are the software that mimics the pre- spoken or written texts. It has just one purpose which is stimulating a conversation with a real person. 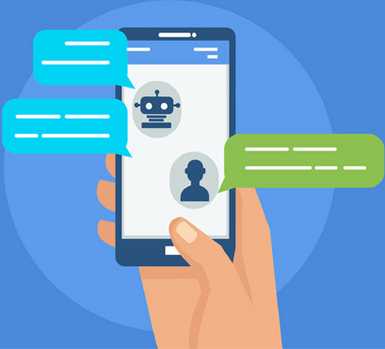 There are 2 ways by which chatbots are used, firstly by obviously applications that are web based and secondly by applications that are standalone. In today’s world, almost every organization is using chatbot services in a full flesh way. When organization facing lots of queries. Application maintenance services can help to increase enhance and extend the application life by getting maintained and optimized. 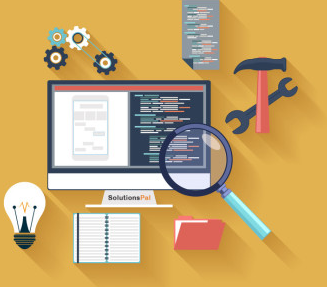 This includes bug fixing, corrective maintenance, preventive maintenance, issue resolutions, coordination with production teams, and improving the existing product or service. Maintenance and optimization of an application is very important as it has become a critical aspect for all the IT sector companies. Application maintenance and optimization is a great way to improve the quality of application, while simultaneously reducing maintenance costs. This not just helps them to work efficiently in a cost cutting way but also gives them an edge to work ahead of the others. An optimized app will always fetch more customers in turn giving the company a stable way to do business. Almost all the clients prefer the application over the web working page. Application optimization increases the performance of the existing workspace and defines the services and products sold by the company. Why we need Application Maintenance and Optimization? There are so many applications, software and technologies out there in the market in today’s world. There are many improvisations that people see on daily basis. The best way to survive in such a harsh condition is to keep renovation and improvising the existing application. Like modernizing the application on regular basis. 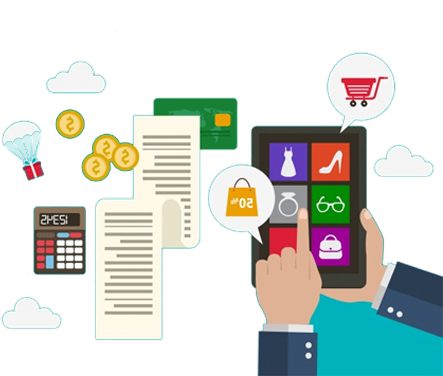 This helps the organization to keep the pace up in the market at a very low cost comparatively and also the time consumed is very less. Application modernization is the simple process of consolidating the software programs and refracting it to make it one step better than before is called as modernizing the application. IoT Applications are system of internally related to computing devices, mechanically that are provided with unique identifiers (UIDs) and the ability to transfer data over a network without requiring human-to-human or human-to-computer interaction. Data analytics has always been meaningful information driving and the devices we use these days it does the same. All the devices on getting connected with internet share their data in one place that is cloud. From there in a very secure manner all the data is analyzed. This way without compromising the security, our business is getting transformed with the help of Internet of Things. IoT solutions have modernized the data gathering process and business revolutions in such a way that almost every sector is now engaging themselves in this. IoT of manufacturing is known to harness knowledge and data from the machines and add value to it with minimizing the scope of losing any client. IoT has kept the companies ahead of disasters and problems by catching them beforehand. Why to use IoT Applications? The new innovations in IoT have make its scope more extended. As many devices deployed IoT based solutions and remain are going to deploy. IoT technology benefits not one but all i.e. individuals, society, businesses. IoT is labelling our routine objects with machine-readable identification tags. Sensors may be a couple with these tags to gather additional information about the condition the ordinary objects and those present around them. Database management system can manage the input, keep it organized and can be fetched and modified by the end user and other system. DBMS ensure the data should be organized, easily accessible. The DBMS is also a centralized way of representing data that can be accessed by multiple users from different location in controlled manner. As everyone knows that how it is very much important to manage data securely. Relational Database Management System: This DBMS associate to use data which generally stored in tables. Flat file based Database Management System: This DBMS associate to data that can be read by the human stored in the file or in binary format. Hierarchical Database Management System: This DBMS associate to data stored in hierarchical manner as parent and child format. Network Database Management System: This DBMS associate to data stored multiple records or files linked to multiple owner files. Object Oriented Database management System: This DBMS associate to data work of programms that are Object Oriented. Security audit is the evaluation of the security of the company’s systems of information. This is measured by a set of criteria that are already established. But an audit that requires a thorough checking typically assess the security of the systems of the organization. Using Audit tools to gather data from the various systems that a business organization using to carry out their digital everyday tasks. Once the audit complete, all data carried out will conclude by putting together an in-depth report that covers the aspects where the infrastructure is strong and where it’s not.